I just got off the phone with Mom. She called to tell me that our little backwoods hollow in Greene County was swarming with work crews who are widening the road there to allow access for the giant trucks that travel to and from the Bailey Mine and all of the coal-mining, gas-drilling, and other environment-destroying folderol that goes with it. It's the latest in a long string of events that makes it more and more difficult to go home. I grew up in Union Valley, the middle of nowhere in the northwest corner of Greene County. It's right on the other side of Time (the actual name of a small village you won't find on any current maps, though we old-timers still call it Dogtown). Incredibly rural. My family had 70 to 80 acres of land, mostly woods. We've been in that valley since the 1800's. The adjoining property was 90 acres. Behind my house there was a tract of land we called the CharMar Ranch (named after the original owners, I presume, and I could probably find out pretty easily). This was roughly 3000 acres of farmland, used mostly for cattle. It was covered in woods and meadows and streams. This was essentially my back yard and I grew up like Robin Hood. By the time I was 7 I was allowed to traipse all over this area on my own (much to the chagrin f some other kids parents when they were sure I had gotten everyone lost on my seventh birthday... but that's another story). Sometime in the 80's this land was bought by Consol and they opened the Bailey Mine. Things began to change immediately. It is a very prosperous mine, and the first thing that needed to happen to tap its resources was train tracks that allowed them to haul the coal out. They built a railroad right through the middle of some of my very favorite places on the planet. Now, luckily, I was away at grad school at the time, so I missed most of the day-to-day work that went into changing the landscape. But every time I came home for a visit more and more of my childhood lay buried under tons of dirt and rock. The lower end of three very specific small hollows had to be filled in order to lay the tracks. Few people who live in the area now could even name the hollows but they're still in my memory: Limestone Hollow, Coal Bank, and The Church Hollow. I spent time in the woods in all of these, but it was the loss of Church Hollow that pained me the most. 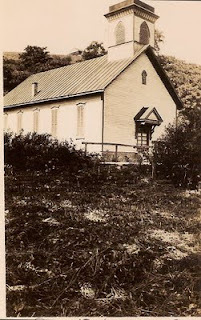 The Union Valley Methodist Church stood at the mouth of the hollow, and was, pretty much, in my back yard. This was the church I grew up in. It was built in 1879. I don't know if there is any paperwork to back this up or not, and there certainly isn't anyone left alive to know for sure, but I was told by my grandmother that the land the church stood on was donated by my great grandfather, Lon Wise. There are so many memories associated with Church Hollow I can't possibly recount them all here. Wading and playing in the small stream that ran through it. Playing with my Johnny West Marx action figures at the rock outcropping that hung over the stream. My Mom stepping on a thorn when I was 5 or 6 and sending me on my own to get help from the neighbor lady, Dora Clutter. Shooting my first (and last) deer there and discovering that in spite of my upbringing I simply wasn't a hunter. Hanging out with friends that one time when we were just old enough to be having different thoughts about the girls with us without really realizing why. There was one spot, a bare rock face in the hillside where natural spring water oozed out, trickled and then fell onto a flat rock surface. Thousands of years of dripping had formed a natural bowl-shaped depression where the water gathered. Over the fall and winter it would fill with dirt and leaves. Every spring I would clean it out and keep it clear all summer long. It was my job. The water was clean and cold and completely drinkable. The railroad filled the mouth of Church Hollow, burying the rock outcropping and the small cove where Mom stepped on the thorn. There is a large culvert pipe that passes through the mound of dirt, allowing the stream to run through. It's dark and claustrophobic and just big enough for a person to walk through if you don't mind snakes and getting your feet wet. If you're hardy enough you can also scale the mound, cross the tracks and drop into the upper part of the Hollow. I did this a few times, just to see, though I suppose it was technically trespassing (that's still a hard concept for me to swallow with a place that was always open to me in the past). The upper part of the hollow, at that time, was pretty much the same as it always had been. On every one of my few trips I cleaned out the natural water bowl and drank. I haven't been back in over a decade. I'm told that the hollow is now filled with the run-off and unusable materials that have been pulled out of the ground; slate and shale and dirt. I don't want to see it. It would probably kill me to drink the water now. Most of the natural wells that people have used there for decades have been spoiled. The actual shape of the hillside and the horizon has been changed as piles of waste material have been stacked and shaped as coal continues to pour out of the earth. Now, they have started drilling for natural gas. This isn't entirely new. Most of the eastern half of Greene County has been mined for decades. My grandfather (maternal, this time) made his living tending natural gas wells near our home. I don't want this to turn into an environmental or political rant. There's a ton of that out there if you're interested in the details. It brings money into the county, but destroys the community and the environment. It creates jobs at the expense of history. I'm simply not well-informed enough to debate the issue in any way other than my own emotional response to it. Consol is buying out every home and farm they can. People who have lived there for years are making more money off their property than they ever dreamed of, at least it seems that way until the reality of moving and buying something else sets in. I have cousins who are heartbroken. 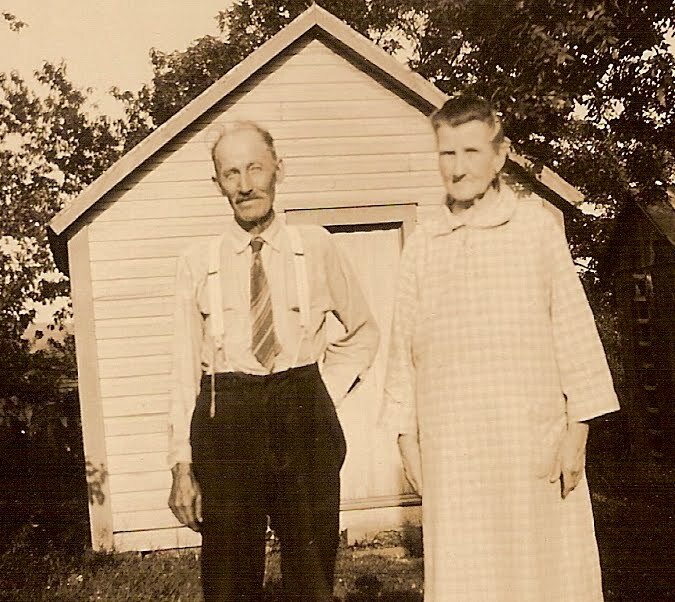 They planned on spending their lives on the tracts of land their parents and grandparents lived on. It was a dream that they never really questioned. Now the future they envisioned is gone, and once they leave, the very land that holds their memories will be changed as well. I realized a long time ago I would never live there again. As much as I love my childhood home my current life is elsewhere. For whatever reasons that area simply doesn't offer what I need out of life. That's not a judgement on those who have stayed behind, just a recognition of my own truth. I will miss the opportunity to “go home” and walk the land that holds my family's history, but I'm not losing the same things they are. And I see this as a natural progression that has happened before. We weren't the first people to live in the Valley. On the Clutter farm next door there was one garden on a hill that, every time it was plowed, would turn up handfuls of arrowheads. There are maybe a dozen people left who know or remember this. The arrowheads were all that was left of other peoples lives and histories there. No one knows their stories at all, and I'm sure they spent more generations there than my family has. So the wheel turns and history moves inexorably forward. Real life becomes memory and memory becomes story.